Today, we present you a 3D game that will throw you right into the fray. 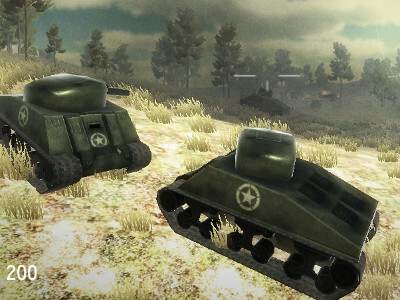 Your objective will be to control a tank that you'll use to kill as many opponents as you can. There's a whole army around you. However, you'll have to try really hard to win. The goal of the game is to earn as many points as possible. So aim your shots well and shoot them all! masteragen, 637 guests, and 37 search engine bots.